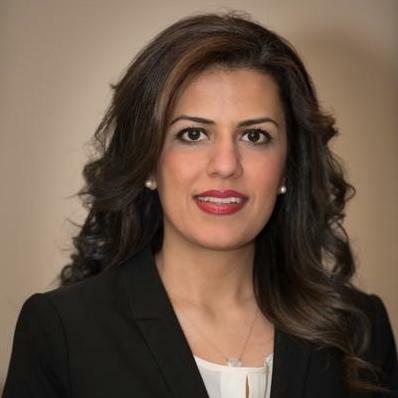 Niki Mirshams, Ph.D., J.D., is a partner and cofounder of Latifi & Mirshams, PLLC. She is a uniquely qualified and experienced attorney who is dedicated to providing professional legal service to her clients. Dr. Mirshams is licensed to practice law in the State of Texas. She was awarded the AT&T J.L. Turner Legal Intellectual Property Association Scholarship and was also chosen to be part of the Inaugural Leadership Class of the Dallas Women Lawyers Association and Co-director of the Irma Rangel Law and Leadership Symposium. Dr. Mirshams focuses her practice on business law, trademark & copyright law and healthcare law. "Niki took on some work for my company and not only made my life easier, she got it done in record time! In today's busy world, we need people like Niki who execute! Thanks Niki!" "Niki was very helpful. I contacted her to help with some business issues that I was trying to resolve. She took the time to review the contracts and to explain them to me, guiding me in what my options were and how to move forward. She is professional and takes the time to work with her clients. I highly recommend her." Practicing in the area of Business law and Intellectual Property law. Helping business owners, entrepreneurs, and startup business owners. Attorney practicing patent, trademark and copyright prosecution and litigation.